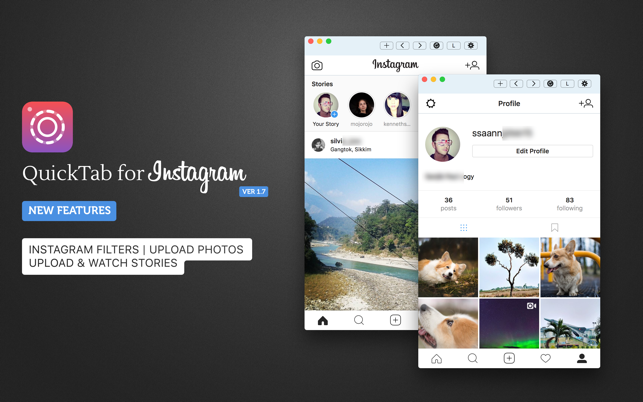 QuickTab for Instagram is an Application that lets you access Instagram on your Mac and makes it easy to browse photos and comment on them. 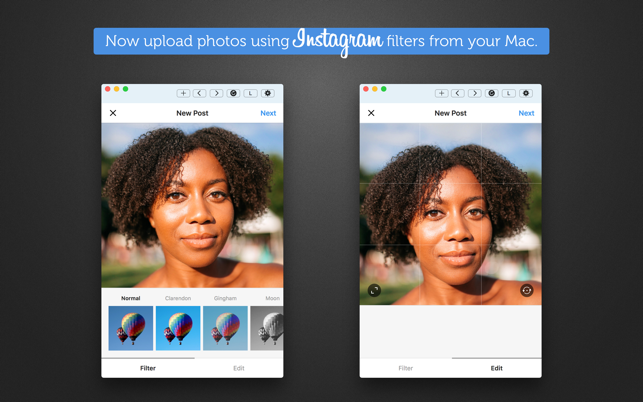 Users will be able to follow other people and comment on their favorite Photos right from this application. 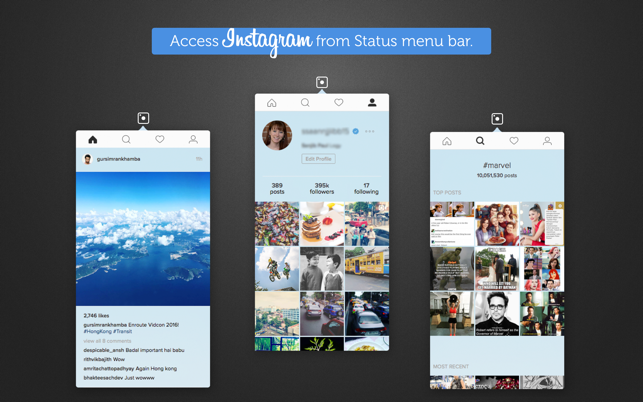 This app is built for Instagram lovers who don’t want to miss even a single update from people they follow. It is an easy to use app and works like a charm. 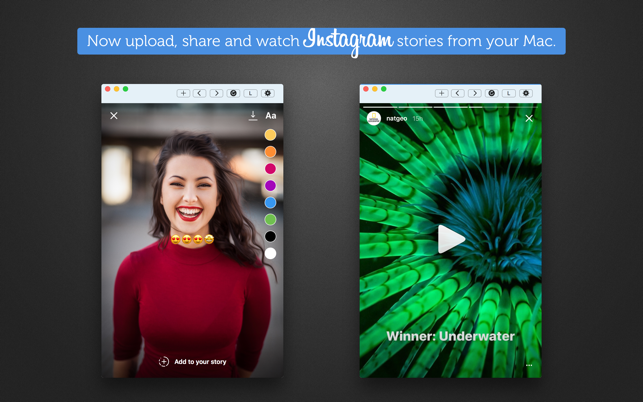 So, Download QuickTab for Instagram today and discover the world of Instagram on your Mac. Start following more people along with keeping track on who is following you. Man kann weder Kommentare, noch DMs beantworten. Die Funktionen laufen stabil, allerdings fehlen gewisse wichtige Features. So kann man weder Kommentare, noch DMs beantworten, ein großes Problem. 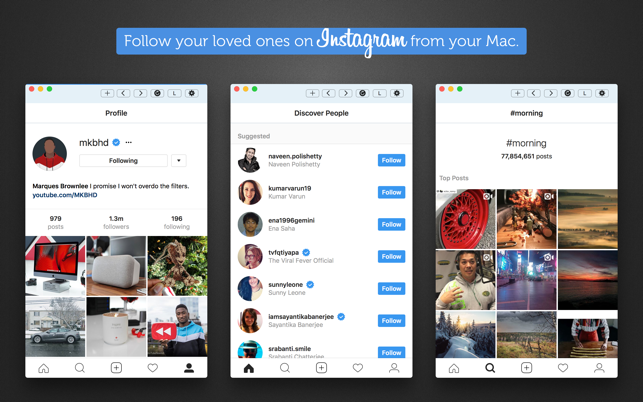 Ich werde also weiter suchen müssen nach einem vollwertigen Instagram für den Mac. Gute Möglichkeit über den Mac als Photgraph etc. Bilder auf Instagram hochzuladen. Allerdings ein sehr unübersichtliches Layout und es fehlen wichtige Funktionen, wie z.B. das beantworten von DMs und das antworten auf Kommentare. Insgesamt zufriedenstellend. What shall i say, it looks good …clean and straight forward, the way i like it. Easy to handle and works also fast …just installed it ..so lets check if it keeps this way. I would recommend it now already ! !